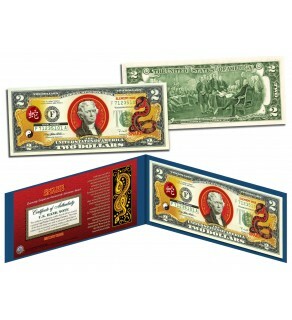 A great gift, this CHINESE ZODIAC – YEAR OF THE SNAKE uncirculated U.S. $2 Bill is Genuine Authentic Legal Tender of the United States, which has been enhanced with colorized images. 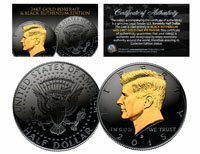 The colorized images are accomplished through a revolutionary new authentic & genuine colorization process pioneered by The Merrick Mint, creating a collectible work of art. Each bill comes displayed in a blue folio with a Certificate of Authenticity to guarantee that your bills are authentic and recognized by every monetary authority around the world, therefore assuring its Collector Edition status. 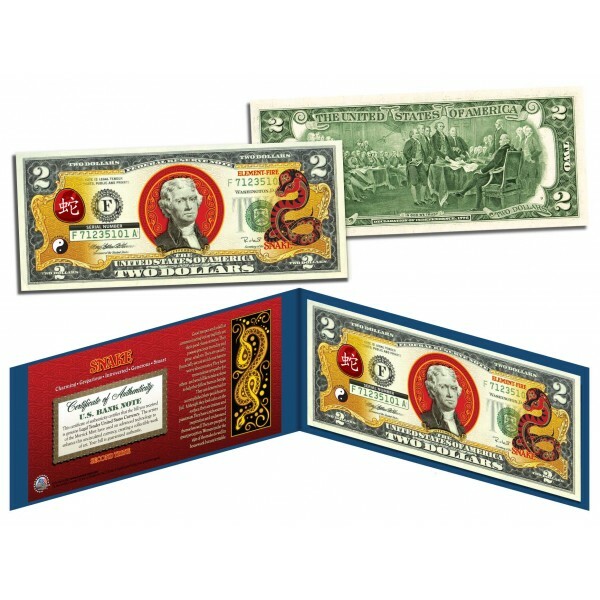 Each $2 Bill is in FRESH, CRISP, UNCIRCULATED condition, and was directly removed from untouched wrapped Federal Reserve sealed packs. Former U.S. President Thomas Jefferson is featured on the obverse of the note, along with the special colorization overlay. The Signing of the Declaration of Independence by John Trumbull is featured on the reverse. It is the only U.S. Currency note that features two Presidents, John Adams and Thomas Jefferson, and it is one of the most rarely seen BILLS in circulation and actual use.